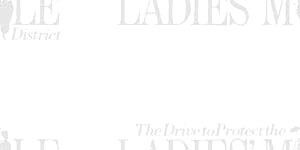 Welcome to The Drive to Protect the LADIES' MILE District home page! Miraculously, the heart of Gilded Age New York still survives, virtually intact, in the Ladies' Mile district. The Manhattan of Diamond Jim Brady and Edith Wharton, with its internationally renowned department stores and specialty shops, its early skyscrapers and its extraordinary Beaux-Arts architecture, can still be experienced. People forget that during the Gilded Age, at the turn of the century, the neighborhood south of Madison Square was the most magnetic center of all America. New York Magazine and the New York Times recently christened it the Flatiron District, photographers call it the Photo District, real-state agents call it Midtown South, but its most nostalgic name is the old one: The Ladies' Mile. "All America goes to New York for its shopping when it can." Thus King's Handbook of 1892 glowingly described the "fascinating, alluring, irresistible" shops that lined Broadway between 9th Street and 23rd, the "vivacity of lower Fifth Avenue," and the "sparkle of 23rd," "the charming people that linger about spellbound... What are the Parisian boulevards, or even Regent Street, to this magnificent panorama of mercantile display?" In 1892, Richard Harding Davis of the New York Sun noted that "private carriages line the curb in quadruple lines, and the pavement is impressively studded with white-breeched grooms." It was here that the most elegant ladies came to buy the finest objects sold in America. First Ladies, such as Mrs. Grant and Mrs. Cleveland, came up from Washington to buy special outfits at Arnold Constable on Broadway at 19th Street. When Isabella Stewart Gardner came down from Boston to buy diamonds, she came to Tiffany's on Union Square. The Ladies' Mile extended up Broadway to Madison Square. 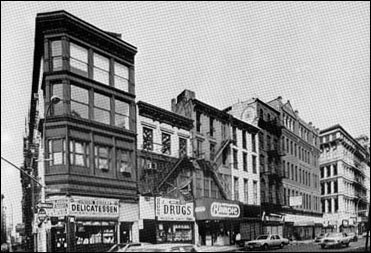 This intersection of Broadway, Fifth, and 23rd Street was a favorite corner for "people watching". Ladies' Mile, however, was not just for ladies or their shopping. 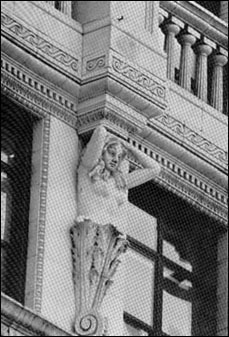 Concert halls, theaters, galleries, wholesalers, interior decorators Elsie de Wolfe and Associated Artists, and the offices of publishers and architects were clustered together in what recently has been called the Flatiron District. 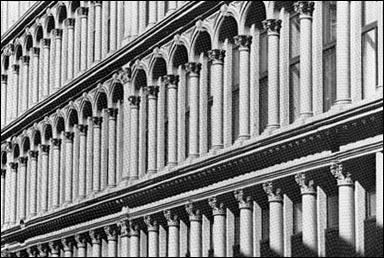 It was the center for the sale of pianos, with Steinway, Chickering, Sohmer, Knabe, Weber, and Decker among the dozens of showrooms for what was then a major New York industry. The future of this matchless community is threatened by insensitive and unsympathetic development. Only with your help can the Ladies' Mile neighborhood achieve the Historic District status it deserves and needs to ensure its preservation. The Great Stores of Sixth Ave.